Australian Radio Network (ARN) has announced a new breakfast show for Brisbane’s 97.3FM. Mike van Acker (pictured above), a Brisbane local and well-known comedian, will join 97.3FM’s breakfast team following Terry Hansen’s decision to leave the breakfast show for health reasons and to spend more time with his family. Hansen has been part of 97.3FM’s brekkie show line-up for the past 15 years and today was his last day on air. The new show line-up was revealed on air to 97.3FM’s audience this morning, with van Acker joining Hansen and co-hosts Bianca Dye and Bob Gallagher in the studio for the much anticipated announcement. 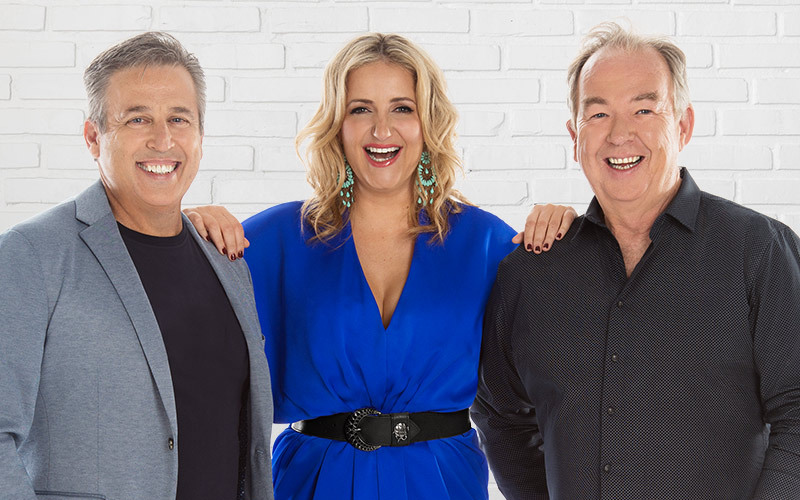 Bianca, Mike & Bob will wake up Brisbane every morning from 5.30am from Monday 16 July, when the team returns from radio survey break. Hansen has been a familiar face in Australian comedy since his stand up debut in 1992, and has performed throughout Australia, New Zealand, the UK and US. He has also appeared on TV and radio including segments for 612 ABC, Triple M and as part of B105’s Gabby, Mike and Stav breakfast show. ARN’s national content director, Duncan Campbell, said: “Terry is a great comedian and broadcaster and has contributed so much to the breakfast show over the past 15 years. Barry Drinkwater, content director at 97.3FM, said: “It was never going to be easy to fill Terry’s huge shoes, but I know Mike will quickly become a morning favourite for our 97.3 listeners all over Brisbane.